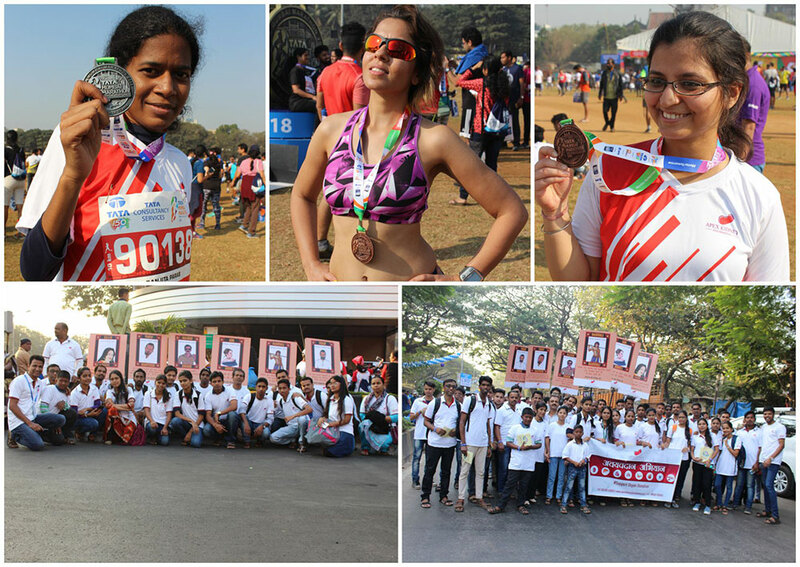 Apex Kidney Foundation had participated in Tata Mumbai Marathon 2018 with staff members as well as transplant patients on 21st January 2018 (Sunday) from morning 6 am to 11:30 am. The prime theme of this rally was ‘Organ Donation’ several organizations had participated in this event. Apex Kidney Foundation had made banner, posters, placard, leaflet as education material to be distributed amongst masses; free t-Shirts were also distributed containing messages of Organ Donation. Dialogues of the superhit movies like Dangal, Bahubali and Dabangg were used for this organ donation campaign. We received coverage from “My Medical Mantra”-an online medical news reporting portal. This Event was conducted under supervision of Mr. Nilesh Shedge, Mr. Swapnil Vaity, Dr. Mohd Shah Alam and Mr. Kahnu Charan. Total Staff Participation was 85 member and patients participation – 3 Members.Amongst patients we had Ms Shibani Gulati, Ms Ranjita Parab, Ms Mamta Shroff. Ms Shibani Gulati has been participating in this event since 3 years this year she has completed half marathon i.e 21km Ms Mamta Shroff has been practicing form last 1year she was marvelous in her performance for completing 10km.Ms Ranjita Parab has also been practicing for Marathon since from last 6 months and was excellent in her performance for completing 10km.